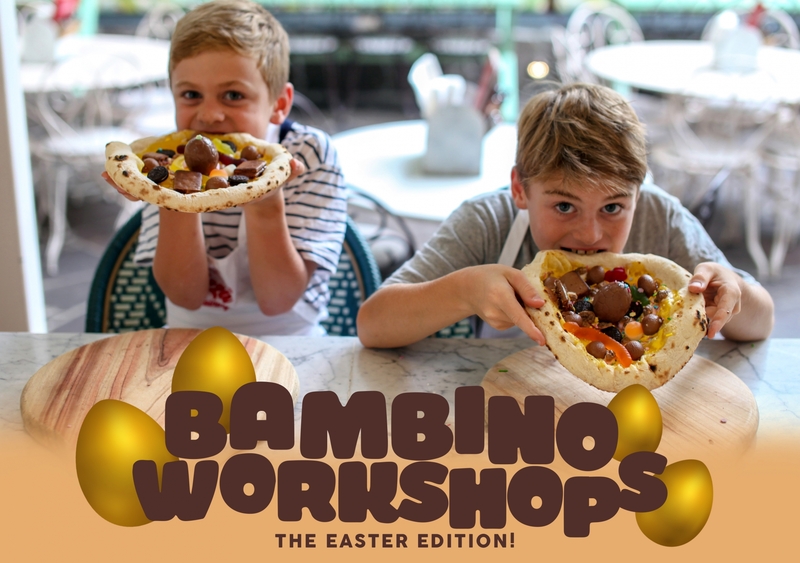 Champion Pizza Chef Jim Parker is back at Alphonsus Pizzeria these Easter school holidays for a special Easter edition of our popular Bambino Workshops! 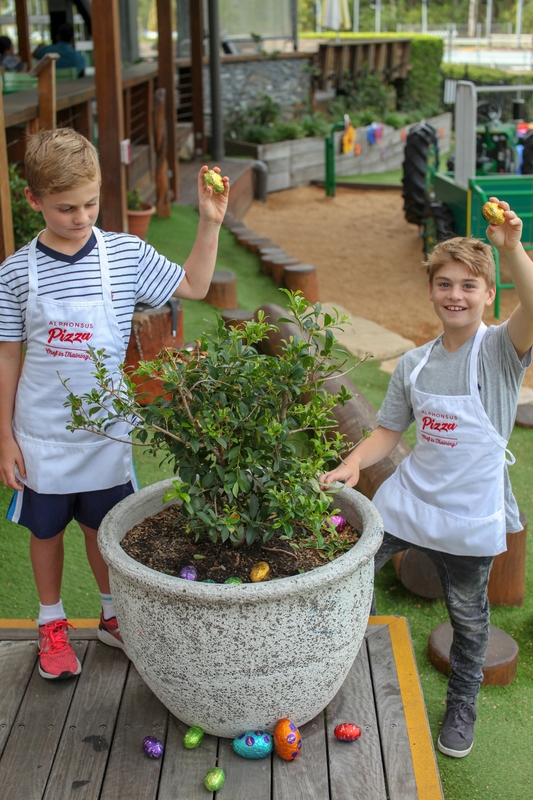 If learning how to create pizzas from scratch, the authentic Neapolitan way isn’t sweet enough, your Bambinos will also be taken on an Easter scavenger hunt to collect delicious treats for their very own dessert pizza! Your little ones will learn from the best with head Pizzaiolo Jim crowned Winner of Best Dessert Pizza in Australia, at last year’s Australian Pizza Championships. 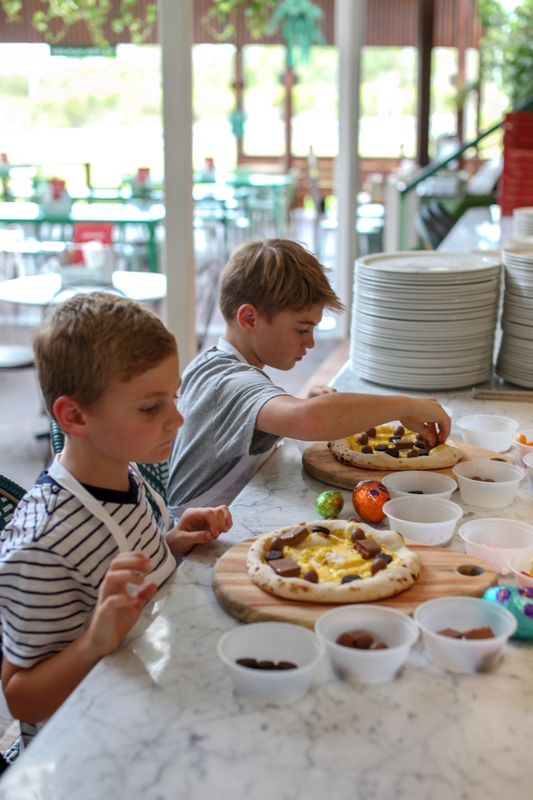 Parents can grab coffee and breakfast from Charles Baker or sit in the courtyard and watch on as their mini pizzaiolos make their own chocolatey dessert pizza creations and enjoy with a drink and take-home certificate. These dessert pizza making classes are $18 + booking fee per child. Payment required upon booking and classes limited to 12 kids per class.